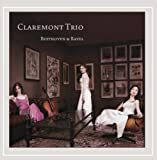 In the 2006-07 season, the Claremont Trio, hailed as "deft, exhilarating, and imaginative" by Strings Magazine, embarks on a concert tour throughout every region of the U.S. First recipients of the Kalichstein-Laredo-Robinson International Trio Award, the Claremonts (Emily Bruskin, violin; Julia Bruskin, cello; Donna Kwong, piano) generate enthusiastic acclaim wherever they perform. The Naples Daily News calls them "the freshest breath of air in the world of chamber music today." The season begins with the final installment of the Claremont Trio's cycle of Beethoven's Piano Trios at the Isabella Stewart Gardner Museum in Boston. The Trio also will perform at the La Jolla Music Society, the Philharmonic Society of Orange County, the Los Alamos Concert Association, the Des Moines Art Center, Worcester's Mechanics Hall, and many other venues nationwide. They will tour with guest violist Ida Kavafian, and play the Beethoven Triple Concerto with the Norwalk Symphony Orchestra. 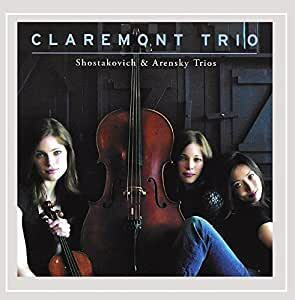 The Claremonts celebrate the 100th anniversary of Shostakovich's birth with the release of a recording of both his piano trios coupled with Arensky's Trio in D minor, Op.32. Highlights of previous seasons include performances at the American Academy in Rome, Lincoln Center's Avery Fisher Hall and Alice Tully Hall, Weill Recital Hall at Carnegie Hall, Merkin Concert Hall, the Irving S. Gilmore International Keyboard Festival in Kalamazoo, MI, and with the chamber music societies of Cincinnati, Detroit, Utica, Kansas City, Louisville, Buffalo, and Sedona. During recent summers the Claremont Trio has appeared at the Mostly Mozart, Caramoor, Ravinia, Bard, Norfolk, Moab, Deer Valley, Cape Cod Chamber Music, and Great Lakes Festivals. The group has also performed with many distinguished guest artists including Toby Appel, Martha Katz, Ida Kavafian, Nokuthula Ngwenyama, and Richard Young. The Claremont Trio's debut CD of Mendelssohn trios was released on the Arabesque label in 2004 to enthusiastic critical acclaim. The Claremont Trio has been featured on television and radio stations throughout the U.S. and abroad. Deeply committed to expanding the piano trio repertoire, the group has commissioned and premiered compositions by Daniel Kellogg, Mason Bates, and Hillary Zipper. The Trio is also extensively involved in music education and has been recognized for its engaging and interactive programs for students of all ages. Twin sisters Emily Bruskin and Julia Bruskin formed the Trio with Donna Kwong in 1999 at The Juilliard School. After winning the 2001 Young Concert Artists International Auditions, the Claremont Trio launched their touring career with an acclaimed New York debut at the 92nd Street Y. The Claremonts are based in New York City near their namesake: Claremont Avenue. 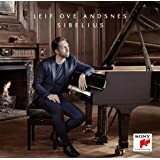 Stream Shostakovich & Arensky Trios by Claremont Trio and tens of millions of other songs on all your devices with Amazon Music Unlimited. Exclusive discount for Prime members. The site didn't permit me to hear enough of the recording to make a clear choice.